Petit Design Co: It's here, It's finally here! Sew Mama Sew's Giveaway Day 2009! My giveaway is open to international entrants as well! I'll even give you 2 chances to win! Post a comment telling me what your favorite Christmas ornament is for one entry. Follow my blog (or if you already do) and post a second comment telling me you do. I'll pick a winner on Sunday December 6th! 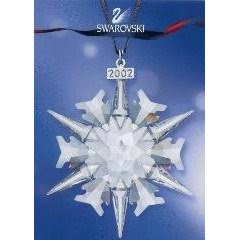 In case you are wondering, my favorite Christmas ornament is the 2002 Swarovski Annual Christmas ornament. It was given to us on the year we got married by a very special friend of mine (my German, social studies, and Seminary teacher - all in one!) We then started the tradition of buying that year's ornament every Christmas. We will be getting ornament #8 shortly in the mail. I can't wait to Have my tree decked out with 25, or maybe even 50 ornaments someday! It's just a lovely visual reminder of our time together as a family. Don't forget to visit Sew Mama Sew for the master list of giveaways! I love the Rudolph clothespin my daughter made alst year:) Lovely prize!! Thanks! My fav Christmas ornament is this little brown unassuming box with a little blue star attached to the top. When you open it, it is filled with straw and has a baby Jesus in it. Just goes to show that you can never judge a book/box by the outside! I follow your blog Norma! Those are beautiful! I would love to win! I also subscribe to your blog and I completely forgot to mention that my favorite Christmas ornament is not just one, but I love all of the crocheted snowflakes that we have. They add the perfect touch! I can't pick a favorite ornament! My mom has bought us one every year since we were born so I have 27 of them that I love! I have a woolen sheep ornament that I got last year from a local sheep person, on a great red ribbon! My favorite ornament? uhhhh... I have a ton. LOL!! How to choose. I wrote a post last year about my favorite ornaments. Right now my favorite would be a snowman family my mom painted for us. This is our first year with a Christmas tree (we've been living in Hawaii and have spend the majority of the holidays on the mainland). I have a picture frame ornament of my husband and daughter - it's a beauitul reminder of what an amazing year it's been! I have some vintage ornaments from the 50s that I love! my favourite Christmas ornament is a lovely door bell (literally a very big red bell), which hangs over the front door handle every year. great giveaway. My favorite ornament is one that holds my daughters pictures. Just the ones the kids make. We try to make some every year. i'm a follower!!! thanks for the chance to win!! Hola!! great blog and great giveaway!! my favorite christmas ornaments are wreaths (with berries or leafs)!! besos! My favorite ornaments are the ones my kids make at school and church each year- especially the ones with pictures of them! Those silhouettes are darling- I'd love one! My favorite ornament is a little girl in a swing done in Swedish style. It was my moms and when I was little I always loved it. I was just facinated with it for some reason. When I got married and moved to CA, away from my parents in MI, my mom gave it to me. We still went home for the actual holiday but my mom wanted me to have that piece of our family Christmas on my Californian tree. I love the ornaments my brother and I made when we were little out of the trunks of our Christmas tree one year. I love to pull out the ornaments that I hung on the tree when I was a child. Thanks for the giveaway! I love those pictures!Especially the one of the little girl. Reminds me of my girl! Anyways, my favorite Christmas ornament is my angel that I received from my best friend. I still hang my baby's first Christmas ornament on my tree each year! I really like the felt ornaments that I make, but I think the cutest are always the handmade one that kids make. My favourite Christmas ornament is a set of personalized brass ornaments my parents bought for my brother and I when we were very little. I treasure them. I supposed they would be considered vintage by now! My favorite ornament is a simple plush circle with strawberries on it that my grandmother made me. Thanks for the giveaway! my favorite ornament is my 'baby's 1st christmas' ornament, and all the 'first christmas' ornaments we've gotten for our children. just wish my husband had one! My favorite ornament is a wooden angel sitting on top of a moon. My name is painted on the moon. I've had it since I was born and I put it up ever year. One of my favorite ornaments is one that I made when I was about six years old. It's made out of scraps of wrapping paper, ribbon, yarn, wire, and paper. I hand cut baby Jesus in the manger, and taped it all together with lots of "decorations." I remember working on it for hours! My favorite ornament is a silver star that I bought at a favorite store! My favorite ornament would have to be the little ceramic house hand painted by a friend of my husband's family and given to us as a wedding gift. Thanks for the chance to win this giveaway. My favourite ornament is a 3d ceramic old time santa face. I have a vintage Christmas ball that was the first ornament my grandparents bought for their tree. I almost hate to put it up, I am scared it will get broken! Beautiful work! My favorite ornament is a silver bell my grandmother bought for me my 1st Christmas. Thank you for the giveaway. my favorite ornament is one I received as a child, it's a "little old lady who lived in a shoe" boot and has a little boy climbing up the lace of the shoe and these little children sticking their heads out of the window. It's so fun and whimsical and brings back wonderful memories. My fav. ornament is a felt hand that was made when I was 3. I love holding it up to my boy's hands every year (they are now 5 and 3) What a nice giveaway! My favorite is probably my daughter's first Christmas ornament we got last year. Thanks for the giveaway! What a great giveaway! My favorite Christmas ornament is a white porcelain angel with a gold sash. It belonged to my husband's grandmother and is so delicate and graceful. My favourite ornaments are my parents old glass ones, pointed at both ends and round in the middle (if that makes sense). They're faded gilt and I miss being able to put them on the tree every year! I haven't found anything for my tree that I love as much (yet). Love those sihouettes, the little girl's reminds me of my daughter a lot, especially the long ponytail. The Little Drummer Boy is my all time fav ornament - have had this since I was One - many moons ago - Great Giveaway! My favorite Christmas ornaments are little charms made by Lenox. I think they are designed for present toppers, but they are beautiful and inexpensive. Thanks for the great giveaway! And just to mention I'm now a follower ! My favorite ornament..oh there is so many, I love them all. The christmas pickle is pretty great. My husband has given me some beautiful glass ones over the last few years so those would probably be my favorites! When I grew up, my parents had an angel ornament that had white feathers on the skirt and a golden halo. I LOVED that ornament! My dad made a wooden globe ornament in High School and wrote "Noel" on it in glitter glue. :-) It's my favorite. Favorite ornament is a hallmark godchild from 1976. Too fragile to hang, but is dearly loved! The crocheted snowflake ornaments are always so elegant! My favorite ornament is one we have with a family photo taken soon after my second (and final) child was born. Our complete family portrait. My favorite ornament is a piece of crystal that my dad engraved my name onto. It is lovely. Great giveaway! Thanks! My mum kept mine and my sibling's first baby shoes and hangs those on the Christmas tree. They've always been my favorite and I plan to do the same with my kids. My favorite ornaments are the crocheted snowflakes made by my grandmother and her sisters. I'd LOVE a silhouette of my baby. Thanks for the chance! My favorite ornament is the little clover shaped picture frame I made out of felt when I was a Brownie. It's over 20 years old now, but it still has all the glitter on it! The Crocheted bell my Mother crocheted during her Chemotherapy. She thought she was making them for me, but I knew she wouldn't be around at Christmas and I finished the bells and sent to family and friends from her, her little last gift of love to them, mine hangs at the top of my tree. oh, and I am a new follower of your lovely blog! my fav ornament is a little ceramic caroler/bell that has been on my tree since I was a little girl. My mom gave it to me when I got married because she knew I loved it so! There is one Hallmark ornament that hangs on our tree every year. It's the our first year of marriage ornament. It is a very pretty gold and crystal wedding bells. Our favorite ornament is a very pathetic styrofoam snowman that Jim made when he was about 5 (meaning the mid-sixties folks) with a square head and a pipe cleaner hanger. It's awesome and the first ornament that goes on the tree every year! I loooooooove silhouettes! That would be really neat! Thanks for entering my giveaway! You asked about my knight. Yes, his name is Link and he lives at my house. The picture with him on my blog was from last year in the apartment we lived in at the time. My husband always wanted a knight in shining armor. He shows up on my blog a lot! OH! Favorite ornament - a porcelain ballerina with a rose pink tutu. It's gorgeous! I just love this funny little Santa that I've had since I was a little girl. He's totally ugly and weird but he's my favorite! I like snowflake ornaments! Thanks for a great giveaway. I have two favorite - and they're both Boyds Bears. One is a couple cuddling together from our first Christmas and the other is a Baby's First Christmas one. My favorite ornament is my radko octopus ornament...She fell off the tree a few years back and lost a some legs in the back...I couldn't toss her so she gets a starring role each year right in front! it. When I was little, I always had to arrange it so one of the Christmas lights shone right on the little bird. When I was a kid, my favorites were a tiny ceramic My Melody (Hello Kitty's bunny friend) ornament that got lost sometime during high school, and my ballerina ornament. Now I love all my various hand-made ornaments- made by my mom, grandma, great-grandma and husband. My favorite ornaments are the ones I made as a child out of things like egg cartons, toilet paper rolls, and styrofoam meat trays. They bring back great memories and remind me of what is truly important at Christmas. my favourite decoration is a snowman made from the inside of a loo roll and lots of cotton wool!! made by my son when he was 4! Lovely! Thanks for the opportunity. We have some glass ornaments handmade by dh's sister that I love. I like the ornament that I made as a child that is a moose and he's holding a sign that says Merry Christmas. The silhouettes you do are beautiful! My favorite Christmas decoration is a little peg snowman made by my daughter in 2003 when she was 2. Think my fav is a wooden lighthouse ornament my girls gave me one year!...Love your give-away will be perfect for the new grandson...Thanks for the chance at winning! Merry Christmas. What a unique giveaway! so cool. My favorite ornament is a candy cane made by my grandmother. my favorite ornament is the one my daughter made last year at school..her face on an angel. i have a an ornament of me in school at this same age and i LOVE having these two ornaments on the tree together! thanks for a chance. would really love portrait silhouette. a lovely handmade felt snowflake from my sister-in-law! I love my kids handprints from their first year... so sweet! I like the glass ball ornament I made with pictures of my kids in it. They look so little . it's a good momento to watch them grow. I have two favorite ornaments, both are for my children, they are personalized and have baby's 1st christmas on them-my son is now 17, my daughter 8 and I smile every time I put these on the tree because I remember when they were little :) now my grandson will have his place on the tree, he is 6 mos. old and will be celebrating his first christmas this year! My favorite Christmas ornament is my Kirsten Larson with her snow shoes...it reminds me of my childhood! My favourite tree ornament is the fairy from my Grandmother's tree. AND after checking out your site and needing to know about the advent calendar, consider me a follower! Thanks! Ooh! My favorite are these knit mittens a friend of mine rescues from old pairs of socks and gloves. They are so cute! Love these!! Thanks so much for the giveaway! Maybe last is lucky?!?! :) Merry Christmas! I love the toad which has been living at the bottom of our Christmas tree every year for as long as I can remember. My favorite ornament is a drum. It is a vintage ornament. My parents have 2 hanging on their tree. They remind me of the little drummer boy story. Thanks for the chance to win. I'm definitely following your blog from here on out. What an awesome giveaway! I really hope I win. My favorite ornament... well, I really like the ugly painted salt dough clay and bean ones I made with my family when I was three. My mom saved them for me. It's kind of a joke in my family, but I really do think it's cool! As for a pretty ornament... My sister painted a nativity scene onto a glass ball, and it is gorgeous. this is a hard one...my favorite ornament is probably a hallmark mouse in a matchbox from when i was a kid. Your silhouettes are beautiful! I've been wanting to do those of my grandkids. My favorite ornament is an angel- given to me when I was a child. It's falling apart- but so special. Ooh, lovely! My favorite "ornament" is a little birds' nest filled with small vintage glass balls. My family tradition is that it's good luck to have a nest in your Christmas tree. Thanks for the giveaway! Beautiful blog! My favorite ornaments are from a set a friend made (giving one a year for several years) of paper-pieced quilting. They are so tiny and delicate. My favorite ornament is the ornament my grandmother and grandfather received as a wedding present almost eighty years ago! It was glass painted bright blue, but now the paint is gone but a few little dots. It always hangs in the same spot every year! My favorite ornament is a flimsy little ornament I recieved in first grade. We had an elf at school that left an ornament on a different child's desk each day. It is such a fun childhood memory of mine. I have to tell you about my least favorite ornament too. When I was very young we had gingerbread man and a gingerbread woman ornaments made from clay or something like that and they smelled of gingerbread. Well, I ate one. Bad idea. Now everytime I smell them I feel ill. I finally threw out the one I didn't eat a year or two ago. My favorite Christmas ornaments are the glass isicles... but really it's so hard to narrow it down! I'm a follower now, too. My favorite ornament is one I made with clay in my first pottery class. I stamped an image of Jesus, Mary, & Joseph and then painted in details. I guess it's egotistical of me to love this the most, but it reminds me of this class and the wonderful friends I made there. My favorite Christmas ornaments, are the ones my mom made me as kid. I love them to pieces! My favorite Christmas ornament is this really ugly clown doll that is stuck inside a plastic ball. Why is it my favorite? I have no idea. My mom has had it since I was a very little kid, and it's always been my favorite. love my vintage German ornaments! My favorite ornament is a handmade angel I made with my daughter when she was little. I just made an ornament out of little mints. Really I love christmas lights most of all. Thanks for the giveaway op! The worst Christmas tree EVER!